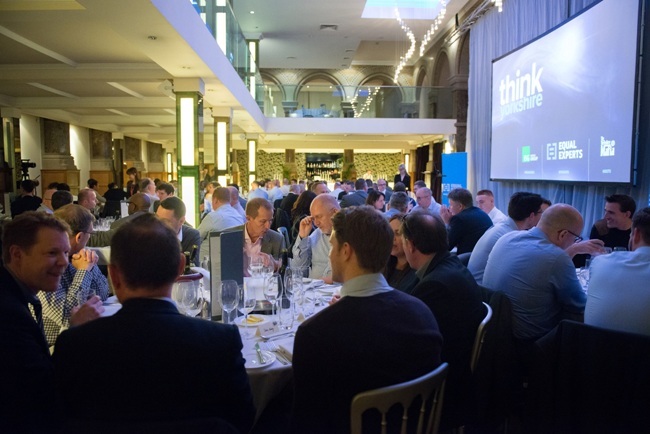 Bringing together industry experts to debate the topics that matter to them most, the North of England’s premier senior stakeholder technology event, Think Yorkshire, will return to Leeds tomorrow, as part of the city’s week-long celebration of business, Leeds Business Week (LBW). Hosted by iSource Group, the IT, digital and change recruitment specialist based in Leeds, the event will welcome leaders from the technology sector to take part in roundtable discussions, followed by networking opportunities, dinner and drinks. Sam Hameed, Recruitment Director at iSource Group, said: “The previous Think Yorkshire events have been well attended and have proven incredibly popular and we expect that this upcoming event will be no exception. Sponsored by Mastek UK Ltd, the digital transformation solutions specialist, the event will attract 150 senior stakeholders who will discuss and debate issues that impact the digital industry, while taking a unique opportunity to engage with other like-minded experts in senior management positions to listen, learn and share. Prahlad Koti, Managing Director at Mastek UK Ltd, said: “Being a major employer and investor in the technology sector within Yorkshire, we’re using this event as an opportunity to share our own expertise and insights into how we are able to develop the sector, but also to hear from other businesses to better understand the challenges that they are facing. Launched into the UK market in 1992, Mastek offers a broad range of solutions, typically helping organisations in one of three ways: assisting with getting DX projects back on track; modernising legacy environments and infrastructure and creating innovative digital customer experiences. Having worked with a number of large Yorkshire-based enterprises including Morrisons, NHS Digital, YBS and Hitachi, the business has impressive credentials. Taking place tomorrow at Aspire October from 4pm, the Think Yorkshire event is invite only. Any enquiries regarding attendance are to be directed to Sam Hameed: sam@isourceit.co.uk. For details of events and seminars taking place throughout LBW, which takes place from today to October 12, please visit the website: https://leedsbizweek.com/.